Confession time: I know I’m the world’s worst virtual assistant. This is a good thing because VA’ing doesn’t light me up. It’s why I’ve surrounded myself with a team of rock stars who excel at what I don’t. You know that phrase “It takes a village”? I’ve been doing what I do for so long it never occurred to me, until recently, to tell others I’ve just met that I’m not a VA. My roles have always been clear here at AngCo: business development, account management, and project management. I’m a whiz at masterminding collaborations and defining strategies, too. 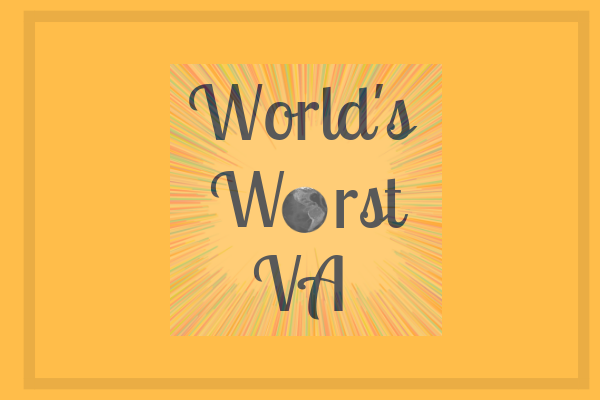 I was kicked to the curb a long time ago and know what lane I belong in, which works well because what I do forms the foundation for the VAs to unleash their skills and help our clients. Vroom. I can remember one particular time I offered to help out my team when they were super slammed. You know those weeks where everyone/thing seems to fall apart? That was this week. So with my VAs dealing with illnesses, client emergencies, funerals, car accidents, vacations, all the joys and sorrows life has to offer, I rolled up my sleeves ready for action. Fast forward forty-five minutes later and I suddenly realized I, in fact, do not know how to create an org chart anymore. The technology I once used and knew so well has changed. It’s more complicated than it used to be. I’m sure you can probably guess how that ended. It’s amazing how fast technology changes. You go from thinking you know it all, having done it all, to realizing that’s no longer the case. And then you’re wasting time trying to figure it out, which happens when you’re not in it every day. Use it or lose it. I’ve also discovered that even though I can pick out typos like a hawk, I’m unable to edit my own stuff. Go figure. Everyone has their own strengths and weaknesses and I know mine. It’s why I’ve surrounded myself with a great team. If you’d like to surround yourself with a great team, you know where to find me.